Data shows that it was supermarkets that increased their prices the most in July, largely cancelling out the price cuts that they introduced just a few weeks earlier in June. The price of an average litre of supermarket unleaded was up 1.64p to 125.34p, while diesel was up 1.62p to 128.88p. Motorway service areas, which tend to charge to the most for fuel, increased the price of a litre of petrol by 1.19p to 146.09p, but left diesel almost unchanged at 148.14p. Across the UK, it now costs drivers on average £70.84 to fill up a 55-litre family-sized petrol car (up 59p on June), and £72.52 for a similar diesel model (up 57p on June). There is a high degree of volatility in wholesale fuel prices now, because of the sharply fluctuating oil price which, after starting the month at just under $77 a barrel, fell to $70 on 17 July before recovering again to $74 by the end. A number of factors have contributed to the price changes – while OPEC’s announcement that its member countries will begin pumping more oil had the effect of pushing prices down, these are now being offset by both the ongoing tensions between the US and Iran over its nuclear deal, and with China over trade and the threat of tariffs which can force prices up. 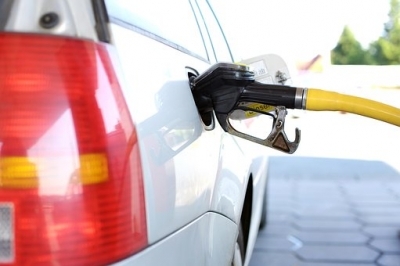 RAC spokesperson Rod Dennis said: “July saw a return to rising prices at the UK’s forecourts, following some price cuts in the previous month – the rollercoaster effect of rising and falling prices that drivers will have witnessed in recent months is certainly in full swing. “The volatility of the price of a barrel of oil, and in turn wholesale fuel prices, makes it difficult to determine where prices might go next. The announcement in June by the Organization of Petroleum Exporting Countries (OPEC) that its member countries would be increasing oil production could have been a trigger for further price falls, but the complicated disagreements between the United States – another big oil producer – and Iran and China are making prices go the other way. The result is a great deal of uncertainty on what might happen with UK fuel prices in the coming weeks. “Fortunately for UK drivers, the pound remained stable against the US dollar – which is important as fuel, like oil, is traded in dollars. A weakening pound means it costs more for retailers to buy fuel in, which in turn tends to mean higher prices at the pumps.